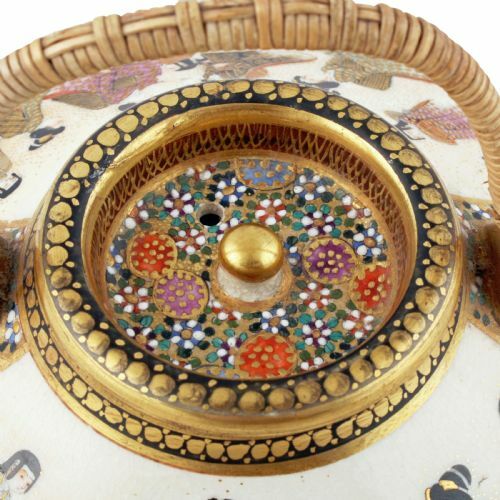 A late 19th to early 20th century Meiji period Japanese Satsuma pottery sake pot. 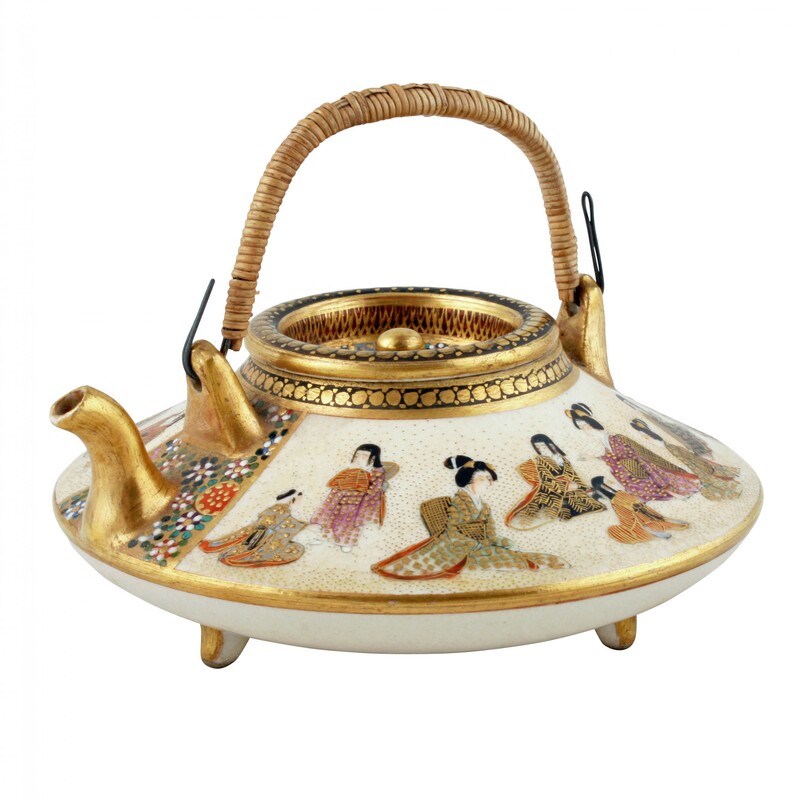 The pot stands on three feet, has a metal and bamboo handle and a loose pottery lid. 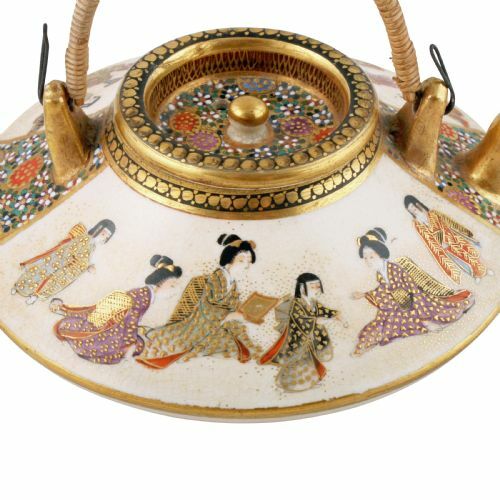 The pot is decorated with a seated woman and children in traditional dress and tiny white flowers around the spout, the handle and the base. 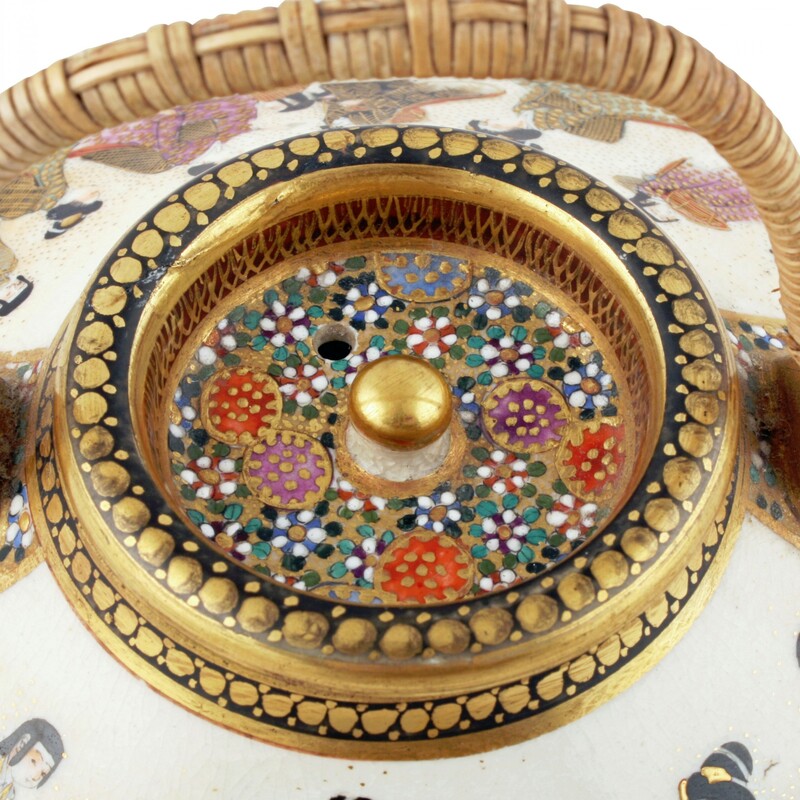 The underside has a gold signature we believe to be the Gyokuzan family mark. 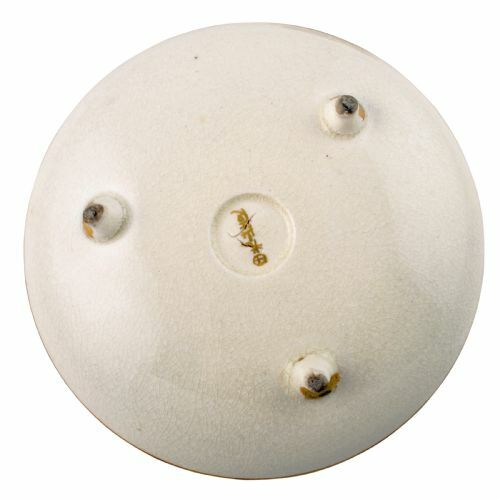 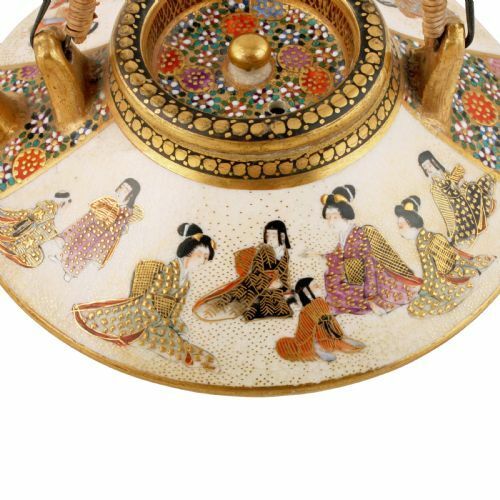 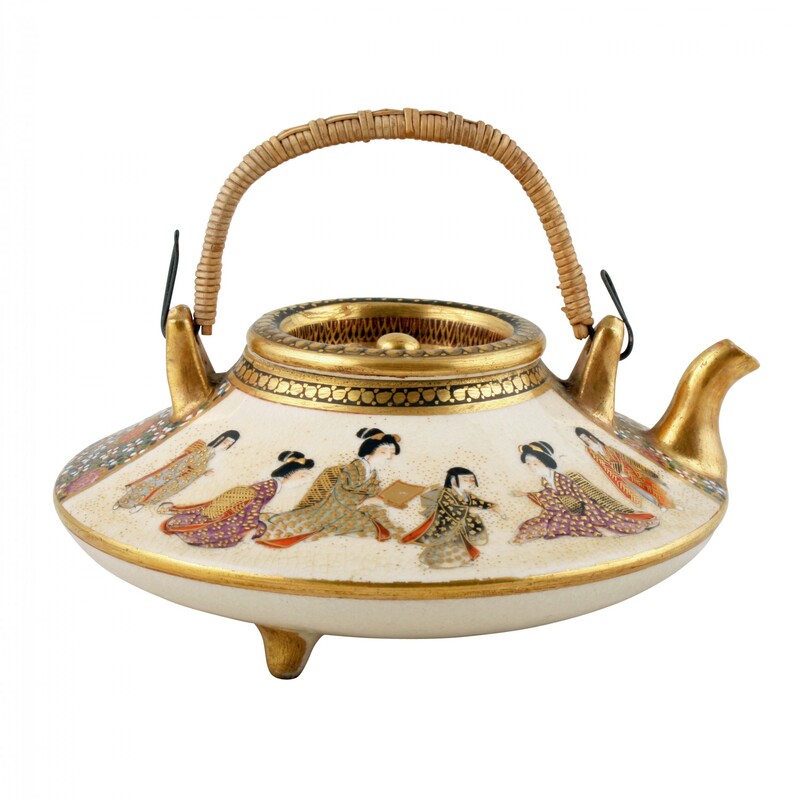 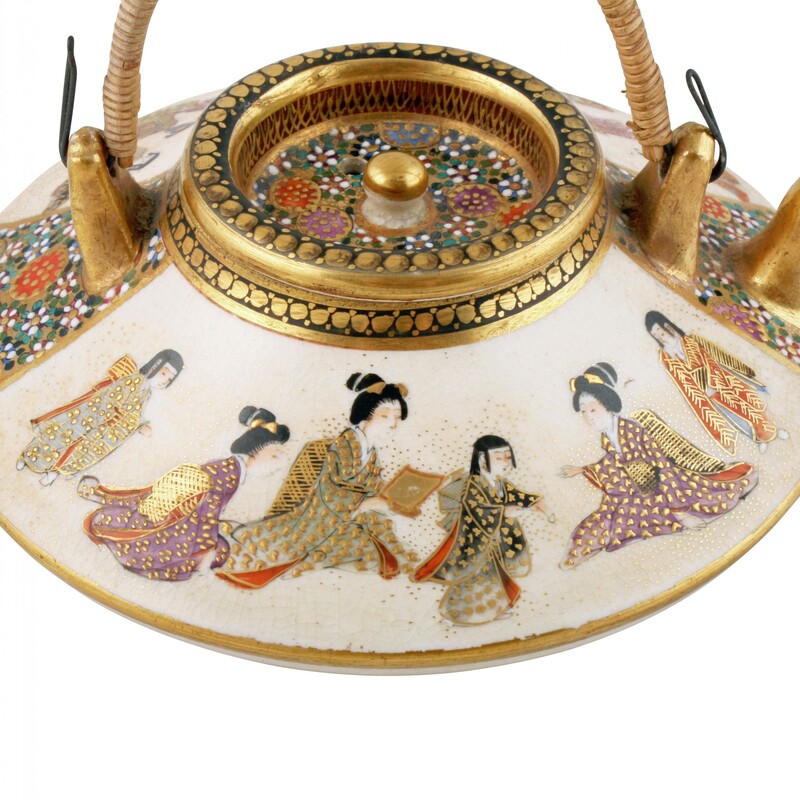 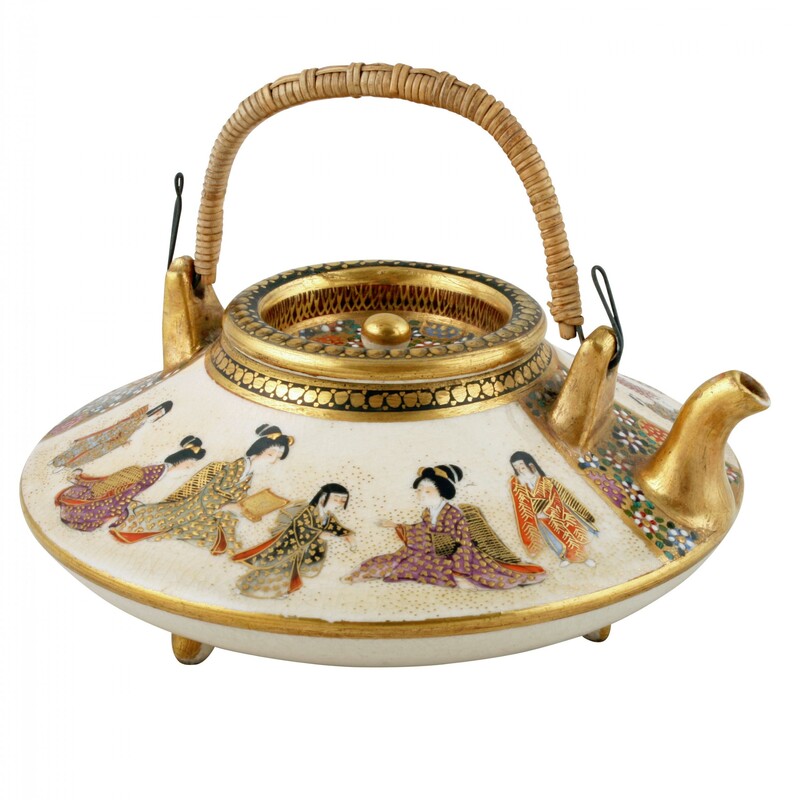 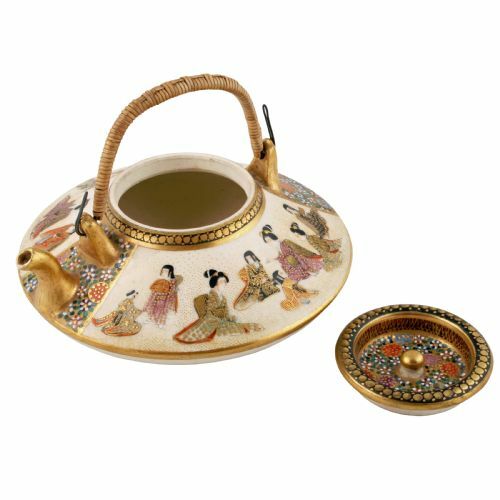 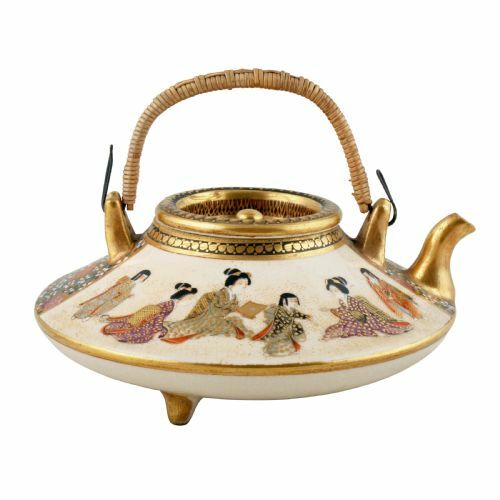 The Japanese Satsuma Miniature Sake Pot has been added to your saved items.